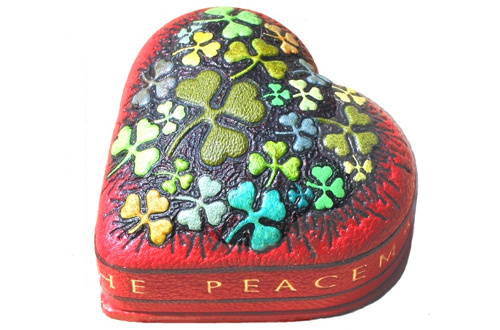 Heart box made and presented to Dr. Mo Mowlem, the then Northern Ireland Secretary in the British Government. She had worked tirelessly and with persistence and good humour for peace in Northen Ireland and with US President Bill Clinton and others oversaw the talks leading to the Good Friday Agreement of 1998. The inlaid shamrock decoration on the lid has been based on the earlier bindings produced for the Royal Ulster Constabulary Books of Remembrance. The sides of the box contain the quotation ‘Blessed are the peacemankers‘. Mo Mowlem died in August 2005. 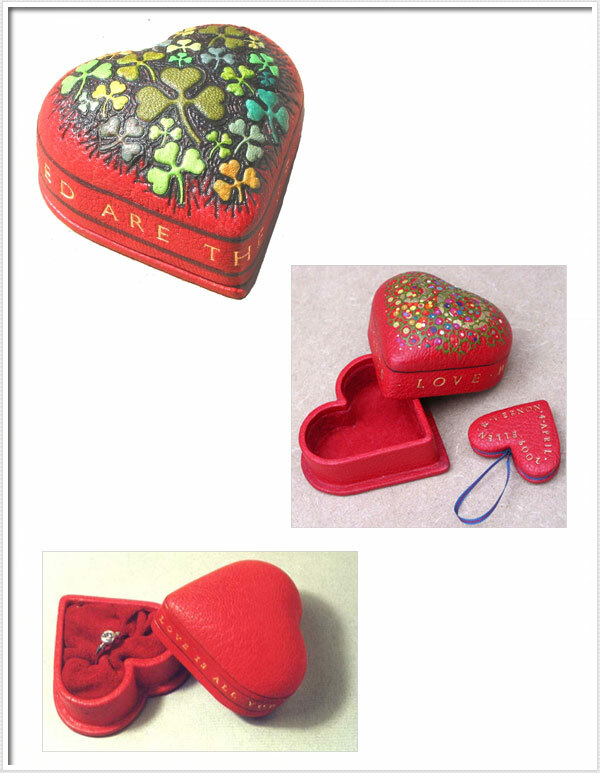 Below further examples of heart-shaped boxes including an engagement ring box.